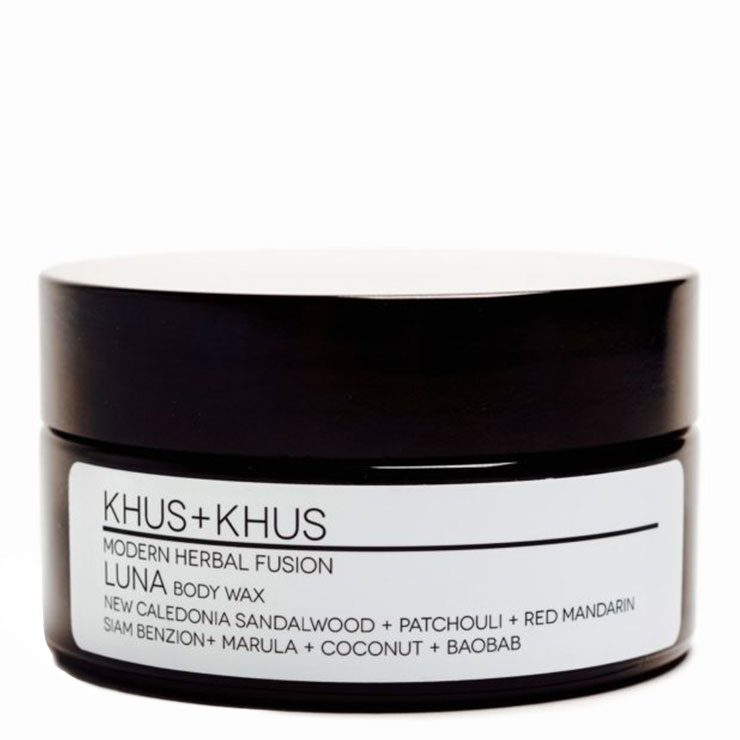 Khus+Khus Luna Body Wax is a decadent all-over body moisturizing balm that makes skin feel deliciously soft and delights the senses. The base of organic coconut and argan oils melt on contact and give skin a calming feel, particularly well-suited to sensitive skin types. Baobab lends a feeling of protection to dry and upset skin, while marula visibly smooth lines and imperfections. New Caledonia sandalwood and a touch of patchouli art artfully blended to release feelings of stress, and balancing red mandarin revitalizes the senses. Designed for most to all skin types. Apply liberally to body, working onto skin in long, smooth strokes to moisturize and instill a revitalized look and feel. Reapply as desired to make skin feel smooth, soft, and hydrated. May also be applied to pulse points to indulge the senses and enhance your meditation practice.